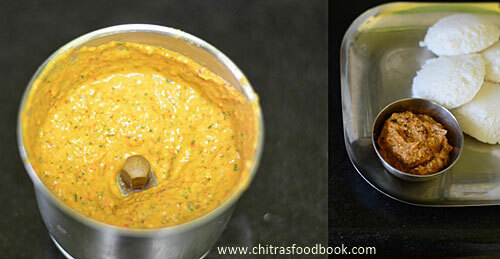 I got this tomato mint chutney recipe (thakkali pudina chutney) from Mrs. Mallika badrinath’s chutney varieties book. 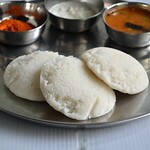 I tried for idli , dosa. It tasted great for both. We loved it very much. I have included this pudina tomato chutney in our routine side dishes. Its very simple. It uses little coconut though. For variations, you can add both coriander leaves and mint leaves as well. The color of this chutney may vary depending on the number of tomato you use. 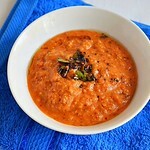 If you use more tomato, red chillies and less mint leaves, it will be on the reddish shade as you see in this picture. I have tried adding more mint leaves, green chillies and less tomatoes too. It comes out in green color. But whatever may be the color , its tastes . 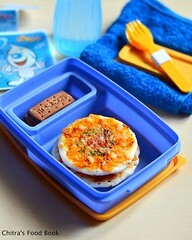 Do try this recipe , u’ll love it for sure !! For variations, you can try this tomato mint chutney without onion, garlic. 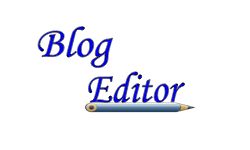 Instead you should add more coconut and urad dal. 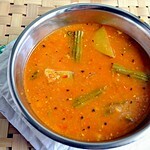 Lets see how to make tomato mint chutney for idli,dosa with step by step photo. 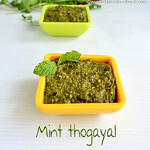 Check out my coconut mint chutney/Pudina chutney too. Wash the mint leaves , chop tomatoes roughly , peel the onions and slit the green chillies. Again add 2 tsp of oil and add the small onions , tomatoes , mint leaves and saute them together till tomato turns mushy.Allow it to cool. Grind everything together adding the tamarind , salt and water.Now temper the mustard seeds and hing and add to the chutney. 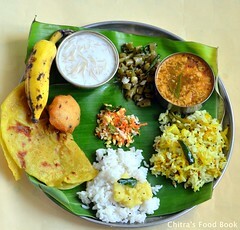 Serve with idli , dosa !! Note Adjust the amount of green chillies as per your taste.Coriander leaves can be used instead of mint leaves. Also red chillies can be used in place of green chillies. You can also use mint & coriander leaves in equal quantity. Looks yummy!! I love all types of chutneys! 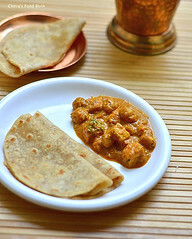 I am a big fan of Indian food, all the more such chutneys. Its so good and my fav all the way. such a tempting chutney, loved it..
awesome ! 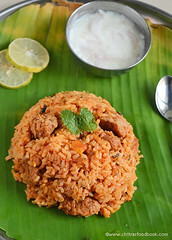 i tried this combo for my tomato Rice :) it wll well go with Curd Rice too ! Looks so yummy!! 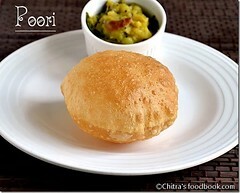 I would love this with simple rice and dal! A flavorful chutney.Love the color. i tried this chutney.it was very tasty.